Newcastle Clinic offers Open MRI Scanning, Ultrasound and Image Intensifying. We are open to Every Body including private patients and NHS patients who are claustrophobic or obese. 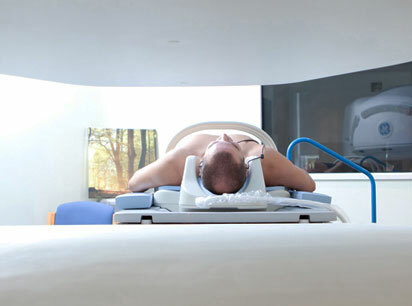 If you are a patient attending for an MRI scan of your brain, knee, spine, abdomen or any other part of your body, you can rest assured that our open MRI scanner will provide a more comfortable and relaxing environment than a closed MRI scanner. Our services also include Ultrasound and Image Intensifying. At Newcastle Clinic, we strive to exceed expectations and our high standards have been recognised by the Care Quality Commission (formerly Health Care Commission.) This enables us to receive certification by them, and we have done so since 2004. Newcastle Clinic is a private hospital and provides private MRI scanning and diagnostic imaging facilities.We also accept NHS referrals for patients who are claustrophobic, of large build, obese, frail or anxious. 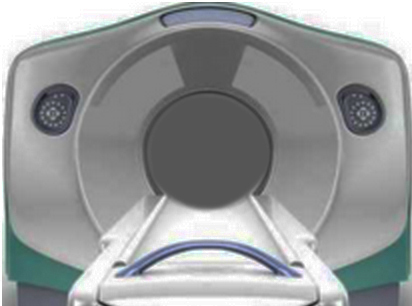 A traditional MRI scanner, as found in most hospitals, has an opening just 60cm wide and a tube surrounding the whole patient. It leaves very little room for anyone of a larger-than-average build, and the experience of being surrounded by the tube and the loud noise it produces can be very claustrophobic and unnerving. The open MRI scanner at Newcastle Clinic is more than double the width of a traditional scanner and as it has no walls, it is completely open for the patient to see everything around them at all times. This provides a much more comfortable experience for patients who may be anxious or claustrophobic. Our open scanner also produces a lot less noise than a traditional MRI scanner and provides a much more relaxing experience. 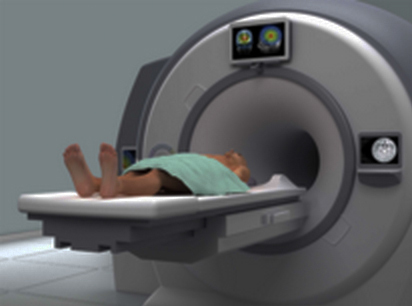 A ‘wide bore’ MRI scanner is slightly wider than a traditional MRI scanner, with a 72cm-wide opening that allows slightly more space for the patient. These are available in a limited number of hospitals across the UK. However, this is still not wide enough for obese patients and still creates a claustrophobic experience. "Went with my father for an open scan today due to his claustrophobia and found all the team extremely reassuring, friendly and helpful. I would highly recommend Newcastle Clinic's open scanner to anyone who is nervous or apprehensive about an MRI as they will look after you and go the extra mile to make you feel comfortable." "The clinic and its staff were excellent. The two radiographers were kind and understanding and took infinite time to try and help me have my MRI scan." "I was referred to have an open MRI scan as I am claustrophobic. I was anxious but needn't have been. The staff are wonderful and the open MRI experience is a far more humane one than the closed scanner. Thank you Newcastle Clinic!" "I had an MRI scan on my head yesterday and just wanted to say thank you to the lovely radiographers called Ken and Matthew that looked after me. Everything was calm and not rushed at all. I was given plenty of time to ask questions, get comfy, and find a position that suited me (on my side, looking out of the scanner). Can't recommend it highly enough. Thank you to all." "To Sharon and all the team, particularly the radiography gentleman in glasses. Your patience and humour were much appreciated. Got my diagnosis today, relief overwhelming. Shall recommend you to all. Keep up the good work!" "I thought the staff were so friendly and the open MRI scanner was amazing ... I am so claustrophobic I can't use the normal ones and this scanner is just fab." "I go to this clinic for my trigger point injections. Receptionists are so friendly & look after you while you are waiting. Nurses are all great as is my pain doctor. Make you at ease and make sure you're well looked after." "It was nice as I could take my husband in with me and held my hand. I would like to say a very big thank you for making my visit to Newcastle Clinic stress free anyone that needs to go don't worry x"